'No Man's Sky' is now available for PC. Can they take it back? ‘No Man’s Sky’ is now available for PC. Can they take it back? 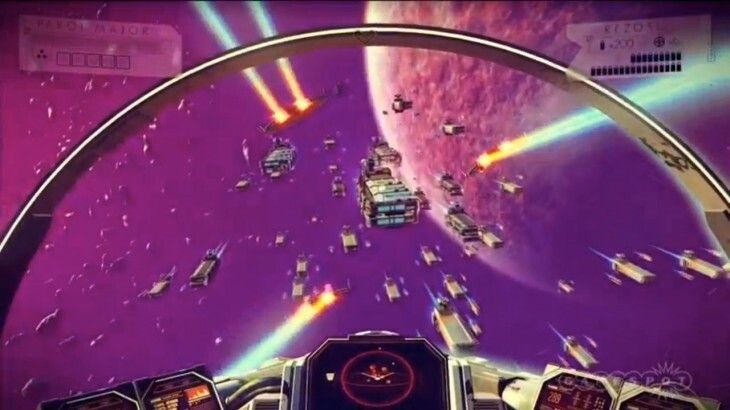 Three days after the PlayStation 4 launch, space-exploration game ‘No Man’s Sky’ (NMS) has made its way to PC. After more than 8,500 “mostly negative” (just changed to “mixed) reviews on Steam, Hello Games is probably wishing it would have waited just a touch longer to iron out the kinks. Available on Steam and GoG, the game has been overrun with bad reviews detailing everything from frame rate issues to difficulty re-mapping buttons on the mouse and keyboard. While supposedly capable of running on older cards like the gTX 480 and Radeon 7870, that doesn’t seem to be the case. Even the higher end cards like GTX’s 1080 or 980Ti are running into major issues with the frame rate — a problem that doesn’t exist on the console version. This has led many PC gamers to feel like second class citizens after seeing the launch of NMS go off without much of a hitch — save a few server issues — on the console version. Many have expressed issues with button remapping on both the mouse and the keyboard — or gamepad — such as buttons being painstakingly remapped only to default to their former settings later. Then there’s the game’s floating-menu system that seems like it’d be a delight to use on joystick, but not much else. Gamers are finding out the hard way that mouse scroll wheels cannot be configured to scroll between menus or through text, a move that leads many to rely on the keyboard for otherwise simple navigation that would typically be handled by the mouse. Oh, and you have to hold-to-confirm every menu interaction. Basically, if you thought using a mouse would be simpler than a gamepad, you were wrong and now you’re paying the price. If all that wasn’t enough, there’s the whole alt-tabbing out of the game thing. Try it yourself. It’s a sure-fire way to skip straight to a crash screen. Hopefully you’re enjoying NMS on the PlayStation because the problems PC gamers are describing seem like a nightmare.